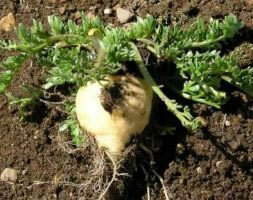 Maca (Lepidium Peruvianum Chacon) is a Peruvian root vegetable that looks very much like a turnip or radish. It is grown in the Junin district of the peruvian andes at an altitude of between 4,100 and 4,500 m above sea level, a region of intense sunlight, winds and below freezing temperatures, where no other crops can survive. Maca is considered to be one the best natural foods due to its excellent and scientifically tested properties. amino acids and it contains nearly 60 phytochemicals. The extraordinary health benefits of Maca are due to the way it promotes optimal functioning of the hypothalamus and pituitary master glands. Maca contains unique alkaloids that stimulate the master glands, which in turn improves the overall functioning of the endocrine system. 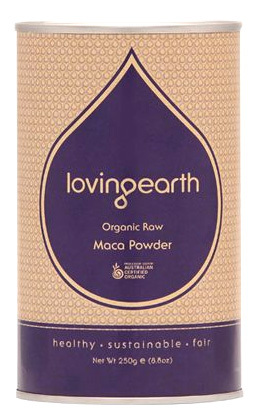 Maca was originally domesticated by the Pumpush people of Junin in Peru, a pre-incan culture, who subsisted on it as their main staple crop. Maca plant was domesticated about 2,000 years ago by the Incas; primitive cultivars of maca have been found in archaeological sites dating back as far as 1,600 B.C. The plant is grown from seed and root maturation generally occurs within seven months. Its appearance may be described as a shrub with a low-growing, mat-like stem arrangement, small, off­white flowers, and scalloped leaves. The root can be one of several colors (cream, cream-purple, purple or black) and is of comparable shape to a turnip or radish. 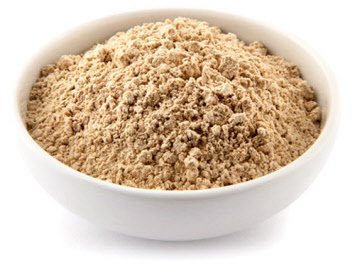 We are pleased to offer gelatinised maca as well as normal maca powder. The gelatinised maca is put through a heated extrusion process after harvest and before it is milled. 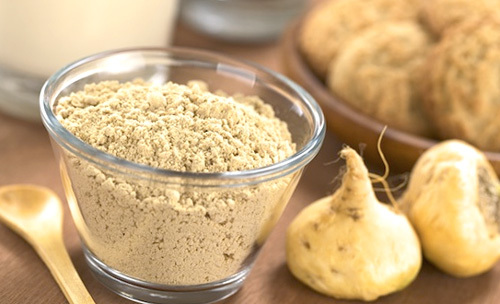 During the gelatinization process, long chains of starches contained in the Maca Root powder are unfolded, increasing the digestibility degree, also known as Gelatinization Index, which, in the case of our product reaches up to a 98+% index. This process concentrates the active ingredients which means you can absorb more of the essential nutrients. Maca, like Ginseng, is an adaptogen and therefore adapts to your bodies metabolism and particular needs to achieve an overall sense of wellbeing and optimal functioning. Through balancing and optimizing the functioning of the hypothalamus and pituitary master glands it also balances and optimizes the functioning of the adrenal glands, the thyroid and the pancreas. Because the levels of oestrogen, progesterone and testosterone are optimized this in turn helps regulate ovarian function and enables the adrenals to produce enough hormones to avoid symptoms during menopause. Maca also remineralizes the body, due to its high mineral content, making up for the lack of minerals in modern diets and conventionally grown fruit and vegetables. 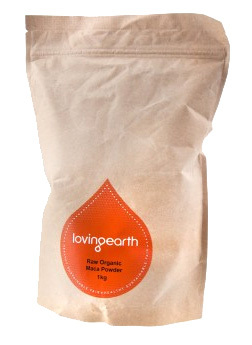 Maca has such a high mineral content due to the soils and environment in which it is grown. The cooperative of indigenous maca growers who grow our maca leave the soil fallow for 5 years after each maca crop so that the soils regenerate completely with minerals.